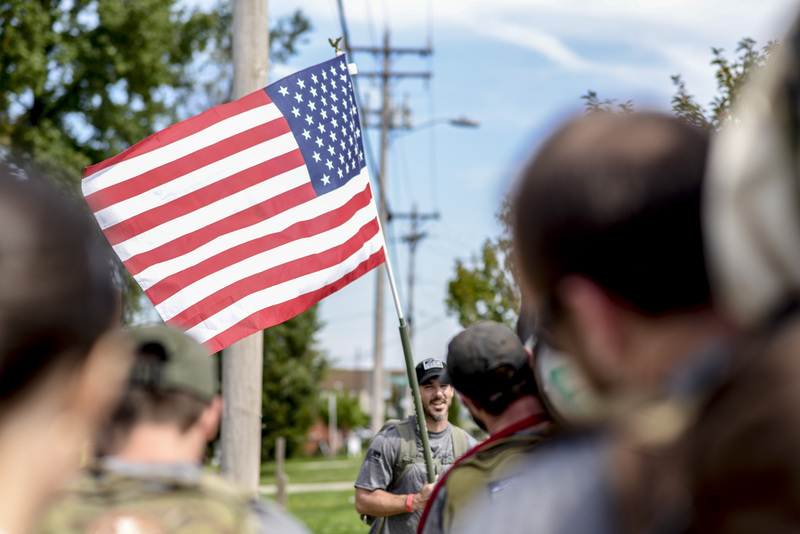 Mission: Team SPEARHEAD is A grassroots organization dedicated to uniting ruck enthusiasts for training, team events, social events, and philanthropy with a specific focus on honoring the United States Military and organizations that support service members and veterans. SPEARHEAD was started on August 9th, 2013 as a weekly workout in Charlotte, NC which focused on military style training for GORUCK events. Within a month, we added two more workouts each week, for a total of three. As we continued to train together we built strong bonds that would carry us far beyond the boundaries of a weekly workout, and Team SPEARHEAD was born. We believe in bridging the gap between civilians and veterans through shared experiences and team building. We believe in sharing stories over a cold one after work or while rucking in the early morning. We believe in America and proudly displaying Old Glory at every event. We believe in serving the less fortunate in our communities by cultivating resources and uniting like minds. We are more than a workout group, we are a community. We are Team SPEARHEAD. Social Media – Follow us on Twitter or Facebook. Join one of our regional Team SPEARHEAD discussion groups on Facebook.